Got a problem? 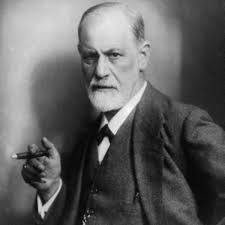 Ask yourself: What would Sigmund Freud say? We often listen to our gut when making decisions. Well, according to Spanish researchers, Sigmund Freud’s gut trumps our own. Sort of. The researchers used virtual reality for an unusual test: To see whether we think the famous Austrian psychologist would give us better advice than we would give ourselves. Volunteers donned VR headsets and sensors. Then they entered a virtual world with an avatar of themselves and one of Freud. In one scenario, the volunteers, as themselves, described a psychological problem to Freud. They then switched roles, embodying the Freud avatar and were recorded giving advice on the issue. They then switched back to being themselves to listen to their own advice via Freud’s avatar! Wacky! In another scenario, the volunteers asked and answered questions as themselves without Freud present. Whose advice was better received? Would you believe Freud’s? The researchers are excited about their findings and think virtual reality could be useful in counseling. Still, Sigmund, sometimes even a virtual cigar is still just a cigar.